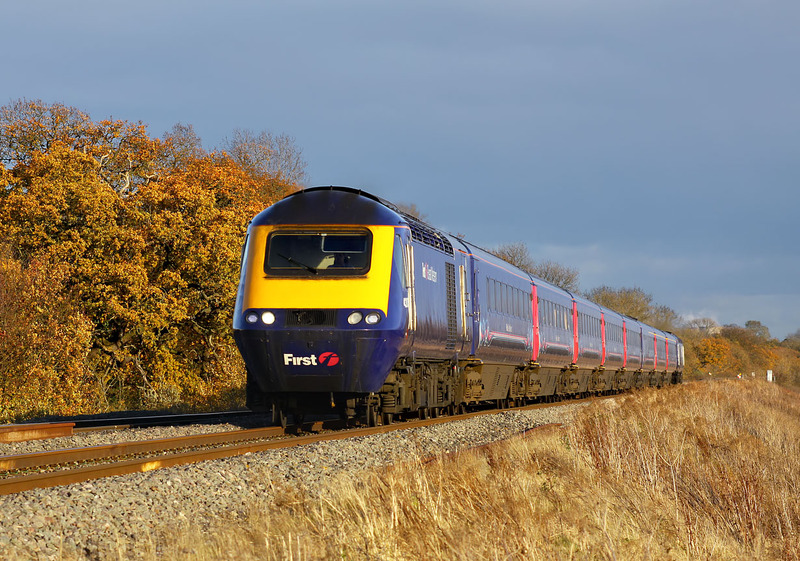 In superb lighting, with the dark menacing clouds contrasting with the autumnal foliage, 43005 approaches the site of Wantage Road station with the 1G38 13:48 Paddington to Cheltenham First Great Western service on 17 November 2009. I was surprised at how much foliage was still left on the trees considering the gale force winds of the previous week and the very exposed position of this bank of trees. Needless to say this ideal combination of low sunshine and dark clouds did not last very long.